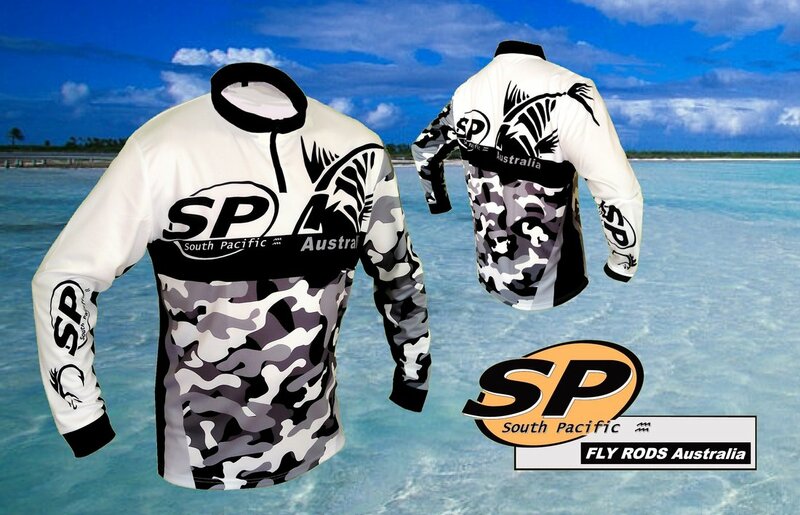 The South Pacific Tournament Fishing Shirt is the ultimate airflow breatheable barrier against the rigours of the ocean environment. Comfortable lightweight 4-way stretch fabric providing ultimate UPF 50+ sun protection while keeping you cool in summer, and warm in winter. Built-in anti-odour stain resistant properties repel grime and fishy odours. Cuffed long sleeves keep you completely covered and the modern fitted zippered collar eliminates collar flap, and allows face scarves to sit neatly in place. Printed colours compliment all adjoining clothing colours. The smart appearance of the South Pacific Tournament Shirt will keep you covered in every way required, whether you're on or off the water. The days of heading out on the fishing trip in a stained daggy T-shirt are over ! Today's anglers demand comfortable well designed, sun protective shirts that are both functional and smart in appearance. The South Pacific Sportswear fishing shirt delivers a highly functional design in quick-dry 100% Cotton Poplin with SPF40+ sun protection. The fully vented mesh lined back and sides circulates air freely and button tab roll-up sleeves offers a short sleeve option. There are 4 velcro closure pockets to hold everything you need, a tool pocket and tool loops, you can even secure your rod with the velcro rod tab when you need your hands free. Confidence plays a big part in productive fishing and looking smart and feeling comfortable is a big head start. Beat the elements while Fishing or enjoying your favourite outdoor activity. Designed to wick sweat quickly away from your skin and keep you comfortable and protected hour after hour during sun-filled days. 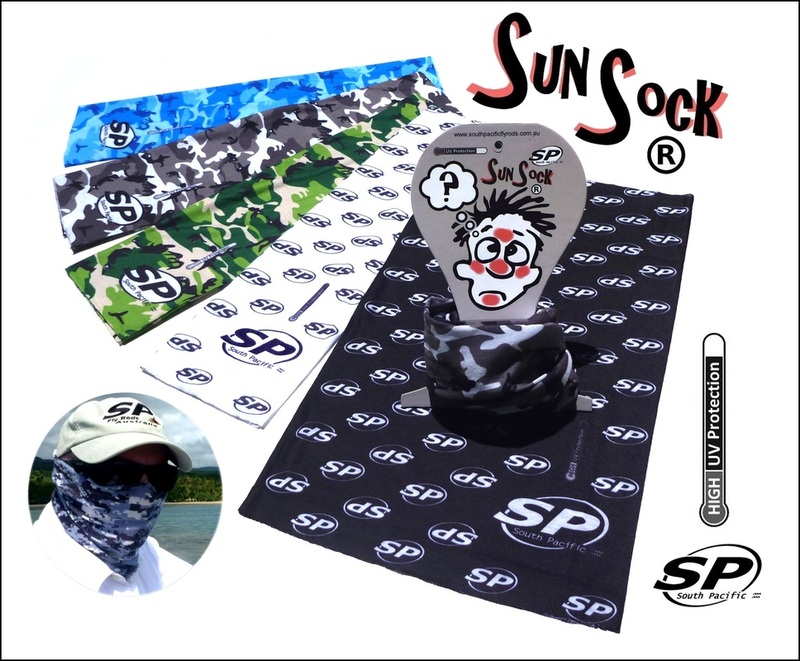 Multifunctional - Sun & Wind protection while fishing. Cool in the summer, extra layer of warmth in winter. Material: Ultra-thin quick-dry microfiber polyester. 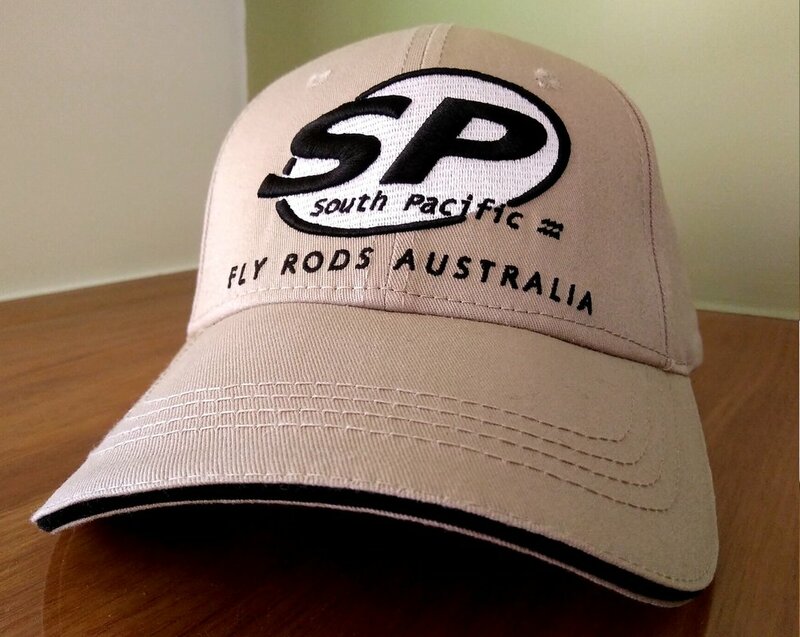 The South Pacific Fly Rods soft twill 'Sandwich Brim' cap features embroidered front & side logos with a custom fit adjustable micro-velcro closure. An advanced performance fishing cap produced in high quality breathable soft twill. Water Resistant with in-built sweatbandl keeps you cool, dry, and comfortable on and off the water like no other fishing cap you've ever experienced. Every fisherman knows the importance of wearing a secure and reliable shoe when wading and trekking fishing terrain. 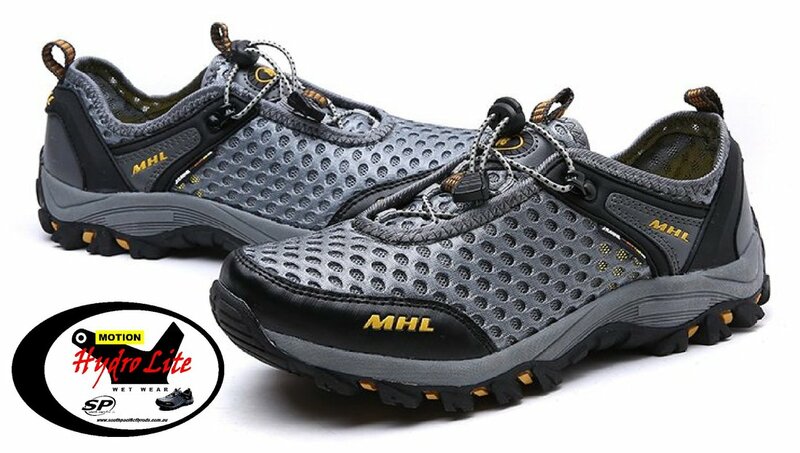 The South Pacific Motion Hydro Lite wet shoe provides everything you need in a fishing shoe and its smart look will take you from Airport to Lodge, and onto water in style. The reliable rugged waterproof construction is matched with a range of essential features.